Conveniently located within walking distance from all major sights of Athens, including museums and ancient temples such as the Acropolis, the Temple of Zeus, the Roman & Greek Agora, the National Archeological Museum and the Acropolis Museum, Ambrosia Suites (equivalent to a hotel) provides a strategic location to all guests, for sightseeing, shopping and business. The property’s privileged location, right in the center of the commercial & business district of Athens, which is also a short distance away from the historical district of Athens where most sights of the city of Athens are located, makes Ambrosia Suites the ideal place for accommodation in Athens, Greece and one of the best option among hotels near Omonia Square in Athens. Ambrosia Suites is located at a distance of 34 km from the Eleftherios Venizelos Athens International Airport, 10 km from the port of Piraeus and 1 km away from the main train station of Athens. 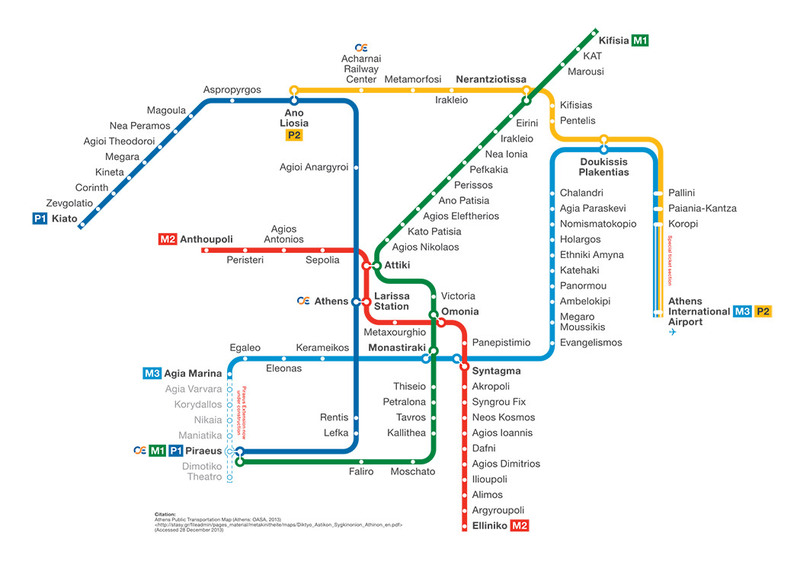 Athens has a metro link with 3 lines connecting north, south, east and west suburbs with the city center of Athens and the airport as well. (By metro) From Athens International Airport “Eleftherios Venizelos” take the blue line and stop at Syntagma Station. From there change to the red line and stop at Omonia Squate. From there, Ambrosia Suites is located just a 2 minute walk away. The duration of the metro trip is 55 minutes. (By bus) From Athens International Airport “Eleftherios Venizelos” take the X 95 airport bus to city center and stop at Omonia Square. From there, Ambrosia Suites is located just a 2 minute walk away. The duration of the trip is 1 hour and 10 minutes. (By taxi) From Athens International Airport “Eleftherios Venizelos” a taxi ride costs 40 € from 5:00 to 00:00 and 50 € from 00:00 to 05:00. The duration of the trip is 35 minutes. (By metro) From Piraeus Port take the green line and stop at Omonia Station. From there, Ambrosia Suites is located just a 2 minute walk away. The duration of the trip is 30 minutes. (By taxi) From Piraeus port a taxi ride from 5:00 to 00:00 costs approximately 18 € and from 00:00 to 05:00 costs approximately 25 €. The duration of the trip is 25 mins. (By metro) From Larissis Station take the red line and stop at Omonia Station. From there, Ambrosia Suites is located just a 2 minute walk away. The duration of the trip is 10 minutes. (By taxi) From Railways Station a taxi ride from 5:00 to 00:00 costs approximately 10 € and from 00:00 to 05:00 costs approximately 15 €. The duration of the trip is 10 minutes.